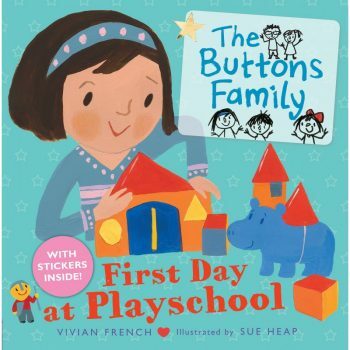 It’s Cherry’s first day at playschool and she’s feeling a bit nervous. 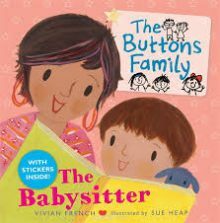 Dad helps her to settle her in and she ends up making some new friends and having lots of fun. 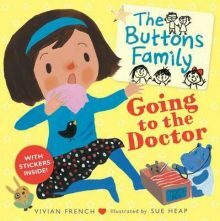 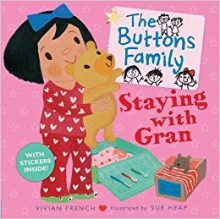 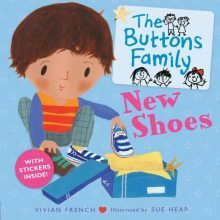 Charming, funny picture books with gentle, non-didactic messages, the Buttons family will give children the reassurance they need to take their first steps in the world – whether it’s going to the doctor, buying new shoes, visiting the dentist, starting school, staying the night at Gran’s, or having a new babysitter for the first time.